Assassin’s Creed Origins‘ protagonist, Bayek of Siwa, has now joined Assassin’s Creed Odyssey as an unlockable character. With Ubisoft Club Rewards, players can unlock the Medjay for 40 Units. Upon that task’s completion, Bayek will be available to recruit as a member aboard the Adrestia. Of course, he won’t serve as a mere crew member. Bayek’s status places him in the role of Lieutenant. Will the Aegean ever know peace? Bayek’s inclusion in Odyssey makes him the second assassin to hop aboard the Adrestia. Evie, one of the Frye twins from Assassin’s Creed Syndicate,is available to unlock as well. Unfortunately, some players have encountered difficulties in recruiting Evie, despite unlocking her via the rewards system. According to a response fan questions, a forthcoming update aims to rectify these issues. 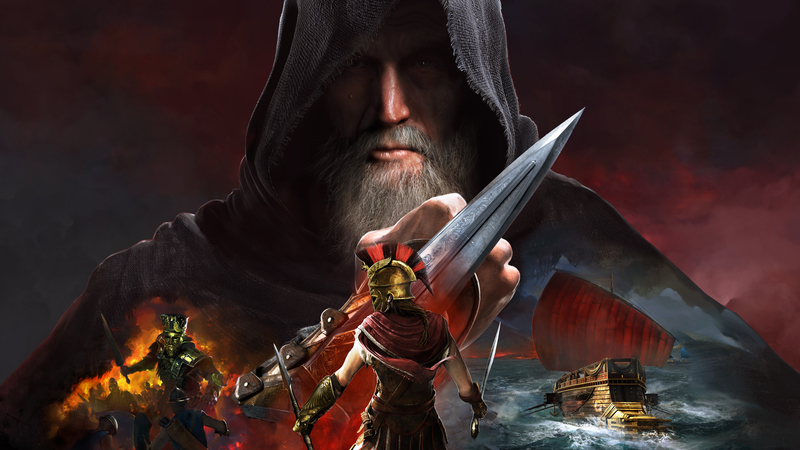 In addition to Bayek-specific content, AC Odyssey’s first live event has emerged from the depths of the Aegean Sea. Players can take to the high seas, pitting their ship against The Black Wind, a “fearsome” Epic Ship. Presently, there’s still no word on the live event originally scheduled to mark the game’s first. Its cancellation means players have yet to formally meet the mercenary, Damais the Indifferent.